Pre-orders of Apple’s highly anticipated wearable, the Apple Watch will begin from April 10, 2015 while its official release date is April 24, 2015. Apple is known for stamping ridiculous price tags to its products, the tech giant has managed to cater to almost all financial classes, when it comes Apple Watch. While US$349 for the base model is not to be considered cheap by any means, seeing how a fully capable smartphone can be purchased for the aforementioned amount, there still are Apple Watch models that carry a much higher price tag. In order to ease your purchasing woes a bit, here is a detailed guide on how you can be a proud owner of Apple’s first ever wearable. 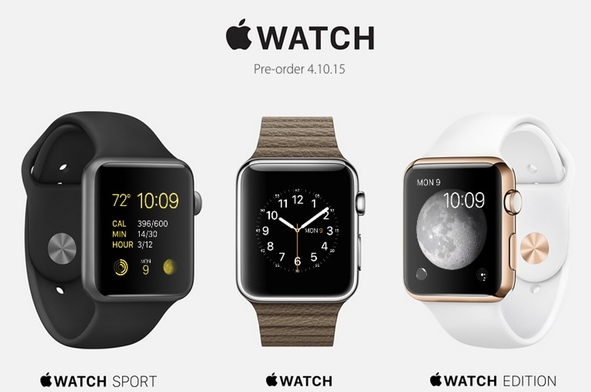 Naturally, the 42 mm variant will carry a larger price tag compared to the smaller form factor watch. In addition to this, each material can be combined with either one of the two colors presented below in order to provide a diversified color combination for the wearer. After you have selected the casing and band color schemes, you are ready to choose the most important part of the wearable, the watch itself. 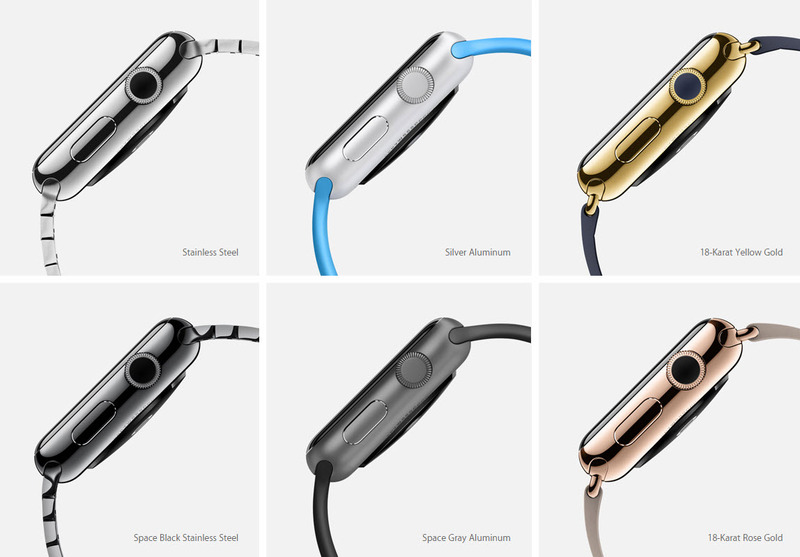 The Apple Watch is comprised up of three different models, with each mode possessing a different price along with a unique set of materials incorporated in to it. This particular model is the cheapest that you can get your hands on. Starting at a price tag of $349 for the 38 mm model, the Sport offers an ION-X glass covering which delivers durability and aesthetics, not to mention the aluminum casing which ends up making the product almost 30 percent lighter compared to the remaining Watch models. If you are looking to become the newest member of Apple’s product club, but do not have the capacity to spend exorbitant number of funds on a premium device, then this model has been made just for you. A step up from the basic mode, the Apple Watch features a sapphire glass that reinforces the display of the wearable, along with a polished silver or matte black stainless steel construction and a variety of fashionable bands and buckles. Due to its premium quality, you can rest assured that you will be paying far more for this particular type of wearable because its price will range between $549-$1099, depending on the size and band options. However, the higher price will also give you additional freedom to choose up to 20 different case and band combinations. The Apple Watch Edition is aimed at the ‘one percenters’, but that in any way does not refrain you from purchasing one, that is of course if you are able to live the remainder of your days without an arm and a leg. The base model of this particular watch starts from $10,000, and is for the white sports band model. The most expensive model will shoot up all the way to $17,000. The Watch Edition will ship out in one of the 8 models that will either include a sports band, modern buckle or classic buckle. Given below are all the pricing, size and band details that you need to be informed about concerning the most expensive model of the Apple Watch. With all the information that has been placed at your fingertips, we are confident that we have brought you one step closer to choosing the Apple Watch model that you feel fits the description of your requirement, as well as the price tag.